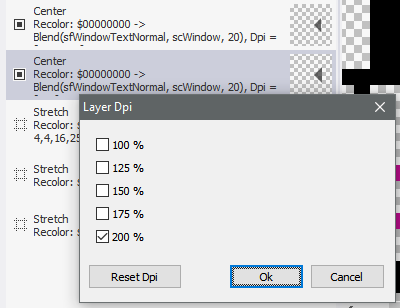 High DPI support for predefined scale factors: 100, 125, 150, 175 and 200%! 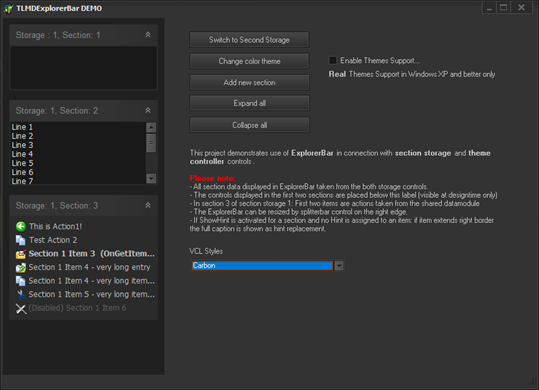 Style editor enchancements: support for dynamic-colors, DPI integers and margins, ect. Consistent with latest Delphi scaling; support of TForm.Scaled property, FCurrentDpi, ect. Get full access to web based services (REST services)! Fully redesigned for 2018 release. Visual API Explorer to test services from within IDE! 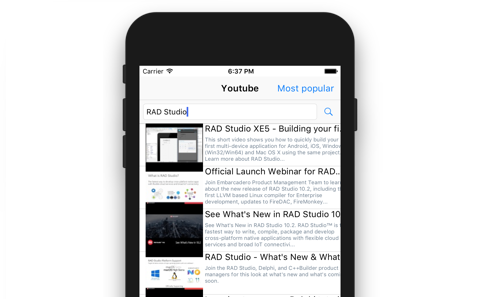 DropBox, BOX.Net and more than 60 Google services integrated! OAuth 2.0 authentication methods supported! Add advanced docking features to your application! 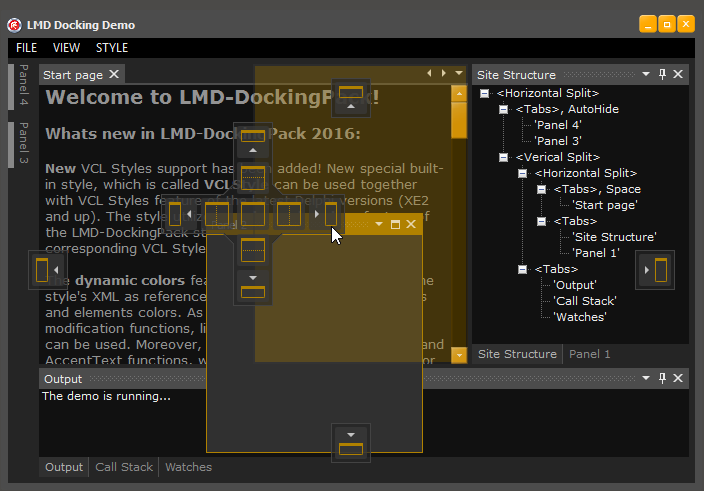 Includes LMD DockingPack Style Editor to create your own custom styles. Available standalone or as part of LMD-Tools / LMD IDE-Tools / LMD ElPack or LMD VCL Complete. ANN: LMD 2019.4 installer available! New LMD 2019.4 installer are available now in customer download areas and public download area. ANN: LMD 2019.3 installer available! New LMD 2019.3 installer are available now in customer download areas and public download area. Review changes of this release on history page. Main changes are further Rio 10.3 IDE support, extensive BarPack improvements and high dpi bugfixes for DockingPack. ANN: LMD 2019.2 installer available! New LMD 2019.2 installer are available now in customer download areas and public download area. Review changes of this release on history page. 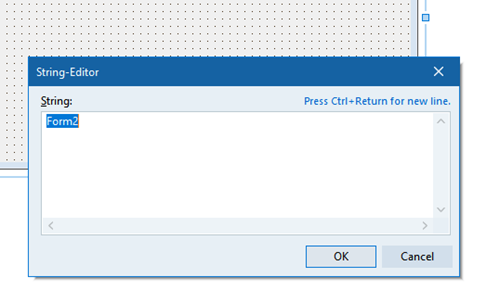 Main change is critical designtime bug fix for LMD DockingPack (problem appears in IDE versions 10.2.2 or higher only).